Yesterday, I worked a little bit on my newest Southern Fiction piece. I wrote a story within a story, because the main character Anna Kate told her brother and sister a bedtime story. Last night, I told my daughter Anna Kate’s story and it made her cry (yeah, I may need to work on it). “That’s my name,” Ben said, bouncing up and down on his knees. “Shh—” Lucy snapped at him and Ben stuck his thumb in his mouth sucking vigorously as he blinked away the brewing tears. “I don’t like this story,” Lucy said with a pout. Lucy and Ben stared at me, all eyes in the darkness of the room. I swallowed and continued the story, kicking the sheets off of me in the muggy room. “Oh, I know—it’s like Hansel and Gretel. Mama used to tell us that story all the time,” Lucy said. “With brown sugar,” Ben added. It still needs work, but I like the concept. And when I told it to Hailey at bedtime last night, she was absorbed with the story. I added details, changed the main character to her and both her brothers played a roll too. And when I came to the end I told her she could have wings to fly or she could have her brothers back, but she could only choose one. And she started crying and said she wanted the wings but didn’t want her brothers to disappear forever! Poor thing. I comforted her and told her the point of the story, then she hugged me hard and went to bed. I think there’s an important lesson in the story for all of us. Family and friends are so important, and they can often be overlooked for our wishes/wants. We get so caught up in the corporate grind, the business of life, in wanting things, and in wishing for our greatest dreams to come true that we often forget the most important thing in our life is the people we love. 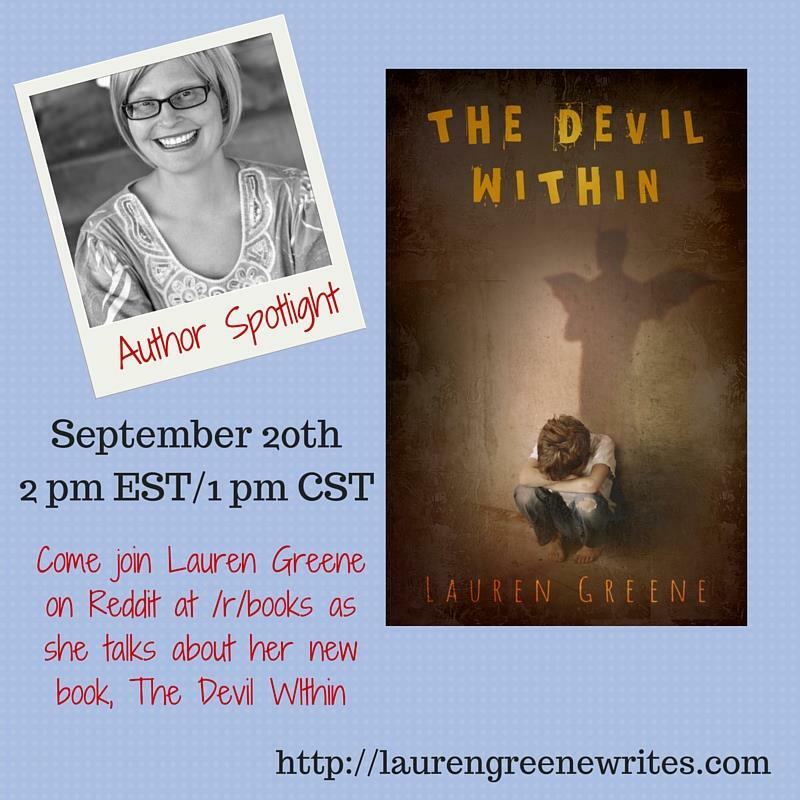 Next Sunday, on September 20, 2015, I will be doing a Question and Answer session on The Devil Within over on Reddit! Make sure you stop by to ask me a question! Oh Lauren, I love this! And what a choice! I can hardly wait to tell this story to my grandkids! You are amazing and your mindspring is deep and full of fresh ideas! Glad they rose o the top! You’re right about family and friends. There are a lot of times when we want to force our wants and desires upon them, and expect them to be supportive of our endeavors. But I think people genuinely are, for the most part. There’s no need to shove our desires down their throats. I’m lucky that I have family and friends who want the best for me. Not just my writing, but everything in my life. Anyway, your story is good. I enjoyed it. I’m working on my “Cell Games” stories, but have other drafts waiting to be finished. This is probably why I need to type my drafts: so that I am more organized. Thanks George! I do think people are supportive of endeavors when they see that you’re not giving up! I have the best family, and I can truly say that they have been supporting my writing journey whole-heartedly.